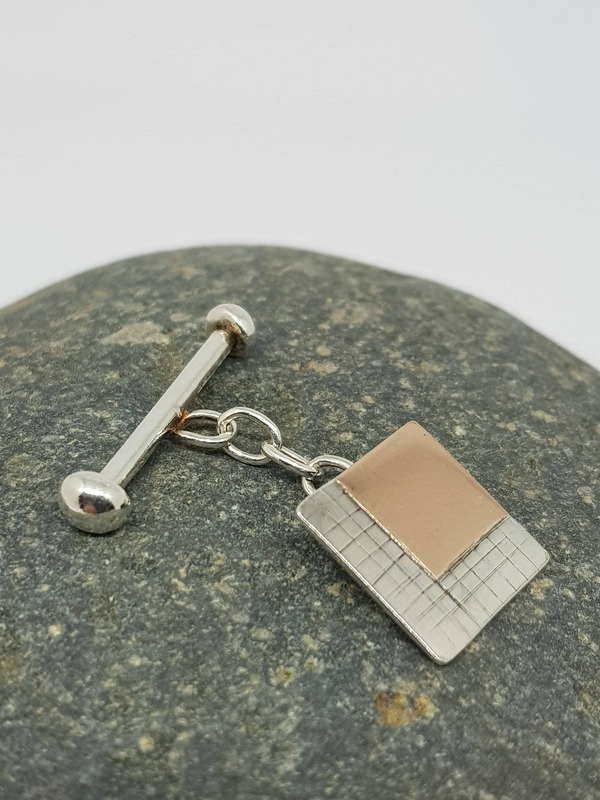 A classic pair of sterling silver and rose gold cufflinks. 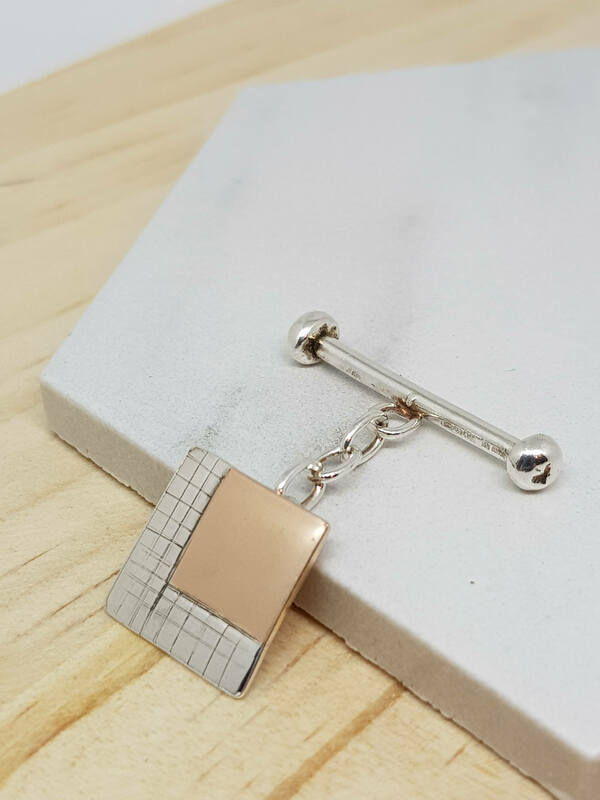 The inspiration for the cufflinks came from the notion of bringing together traditional and contemporary designs. 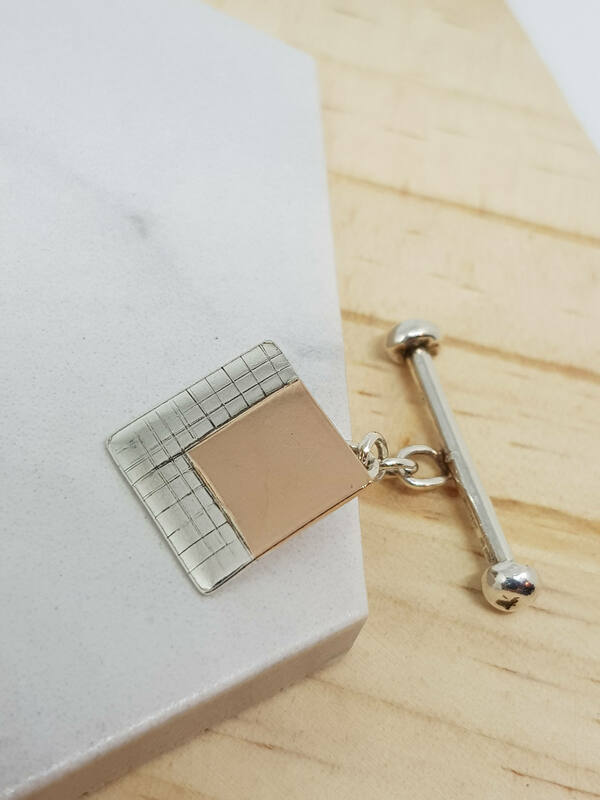 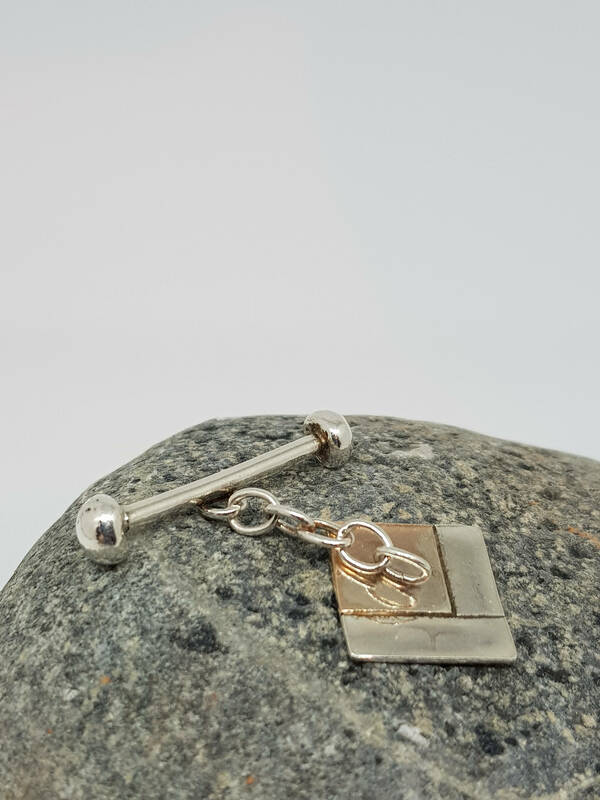 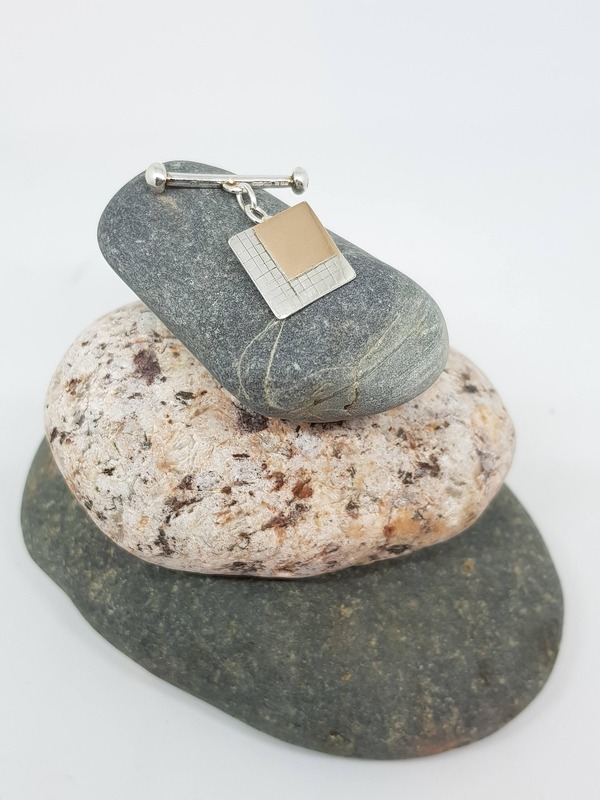 The geometric shapes of the rose gold and silver with engraved detail have a traditional silver bar and chain fastening.